You’ve made the decision to source more sustainable cotton, but how do you make sure you actually are? 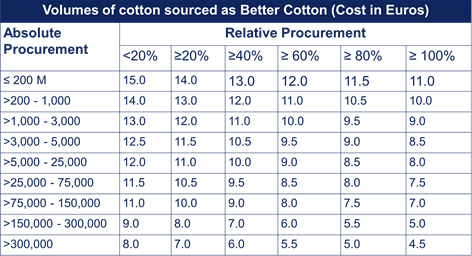 How can you know the cotton you’re buying meets all your sustainability requirements? This section of the guide has detailed information about the different sustainability programmes and traceability models. It also has tools and resources to help you begin creating a cotton sourcing strategy for your company. Sustainability programmes like Organic cotton, Fairtrade cotton, Better Cotton and others emerged because of patchy national and non-existent global legislation, strong NGO pressure, grassroots movements and emerging consumer awareness. Brands that wanted to demonstrate the sustainability credentials of their products turned to independent standards for assurance. Today, there are more programmes, standards and codes than ever before. This is down to a growing awareness of sustainable and ethical production among brands, and new legislation – such as the Modern Slavery Act (2015) in the UK, the California Transparency in Supply Chains Act (2010) in the US, the Proposition de Loi in France (on companies’ duty of vigilance), and the Dutch law on child labour “Wet Zorgplicht Kinderarbeid”. environmental issues, such as responsible water use and pesticide/fertiliser use, and caring for soil health. social issues, such as community stability. economic issues, such as poverty and debt cycles among producer farmers. What is the difference between standards, codes and different assurance models? Sustainability programmes fall into several different categories. These vary according to the level of assurance and rigor they require from participants. 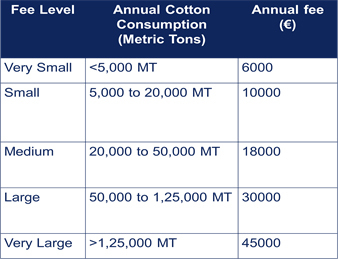 You can find more detailed information about the different sustainable cotton standards and other programmes here. The sustainable cotton standards featured in this guide were included based on the criteria that they are third-party verified as an independent standard with clear reporting guidelines. In addition to these standards, the guide also includes details on other programmes and codes. A standard is an agreed way of doing something. It could be about how you make a product, manage a process, deliver a service or supply materials. Standards can cover a huge range of activities undertaken by organisations, and they are used by producers, companies, governments, financial institutions and consumers. Sustainability standards are voluntary and independently assessed. They evaluate performance against a set of criteria that define good social or environmental practices in an industry or product. In this way, standards can help filter out sustainable from unsustainable products or approaches, and drive better production practices and long-term sustainability improvements. Find out more in this short video by the ISEAL Alliance. Product standards are about the characteristics of a product; process standards are about the way a product is made (but don’t necessarily influence the characteristics of the end product). In agriculture, most social and environmental standards are process standards. Process standards can be further divided into ‘management system standards’ and ‘performance standards’. Management system standards set criteria such as documentation or monitoring and evaluation procedures. Performance standards set verifiable requirements, such as the availability of certain pesticides or access to sanitary services in the workplace. Cotton industry codes are written by organisations or associations to guide their actions and those of their suppliers in line with their values and standards. Codes can play an important role in the industry, especially for companies looking to do due diligence mixed with a more bespoke approach to sustainable cotton sourcing. A code like this is similar to a standard but is often not linked to an independent verification system. It improves consistency of evaluation at an organisation or industry level and outlines the minimum requirements to be used when reporting on sustainability. Standards and codes are valuable partly because they can be used as a tool to evaluate performance. That process of evaluation is called ‘assurance’ and different sustainability programmes use different assurance models. The key differences in these models come from how independent the assessor is from the farm or buyer, how rigorous and frequent the evaluation is, and the scoring mechanism used. The type of claims a company can make when it sources certified products is affected by the assurance model in their chosen sustainability programme. Most sustainability standards have a verification process, often referred to as ‘certification’. Third-party certification is always done by an independent party that has no direct interest in the economic relationship between the supplier and buyer. It can become more complex if a certifier addresses more than one part of the value chain. First-party verification is typically a self-assessment; second-party verification is usually when a buyer verifies if a supplier adheres to a standard. Third-party certification is best practice, especially in the middle of the supply chain. This involves certifiers giving written assurance that a product, process or service conforms to certain standards. Second-party certification is often used at farm level and is considered reliable. When a farm is third-party certified, this assurance can be communicated and used along the supply chain. For example, a buyer can trust an independently-certified supplier with greater confidence than one who ‘certifies’ themselves. The organisation performing the certification is called a certification body or certifier. The certifier will either do the inspection or contract it out to an inspector or inspection body. The certification decision (i.e. the granting of the written assurance or ‘certificate’), is based on an inspection report, although it can be complemented by other information sources. Sustainability programmes often have several certification bodies carrying out performance assessments. Obviously, they want to ensure these bodies are operating competently, consistently and impartially. To do this they might employ accreditation or oversight bodies. In other words, they are checking the checkers.